Five days after eliminating the Kings, the Sharks finally found out their opponent for the second round of the Stanley Cup playoffs on Wednesday night. Headed into Game 1 against the Predators on Friday, though, their toughest obstacle may have nothing to do with the team they’re lining up against. San Jose will have gone a full week between games when the puck drops at SAP Center, while Nashville will be in full go-go-go mode after their 2-1 win at Honda Center knocked out the Ducks in Game 7. "We'll see. I don't know. 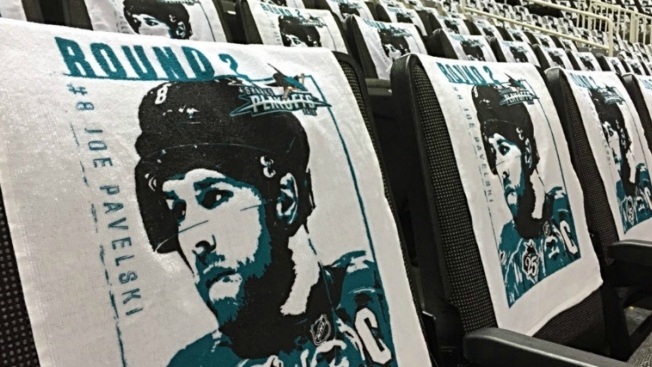 We'll see how we feel,” Logan Couture said. “We're at home, so I hope we have some jump. The building will be loud, and that always helps come playoff time. Hopefully we're ready to go." The Sharks were given last Saturday and Sunday off, and skated as a full team on Monday, Tuesday and Thursday (Wednesday was optional). Coach Pete DeBoer indicated earlier in the week that the advantage in the next round should be with team that hasn’t had to deal with an extended break. He went into more detail on Thursday, explaining that in 2012 in his first year in New Jersey, the Devils -– who, like the Predators, trailed three-games-to-two in the first round -– won games six and seven and carried that momentum into a five-game elimination of Philadelphia in the second round. The Sharks struggled with the Predators in the regular season. Nashville won two of the three meetings, with San Jose’s lone success coming in a shootout on April 2 at Bridgestone Arena. Only two points separated the teams in the overall league standings. The strength of the Predators is their defense corps. They generate a ton of offense from their back end from Shea Weber and Roman Josi in particular, and in games six and seven against the Ducks they collapsed well as a five-man unit around goalie Pekka Rinne, whose star has dimmed a bit after another so-so regular season for the 33-year-old. The Sharks managed just five goals against Nashville in the three games of the season series. Couture said: “They're really tight in their D-zone. They drop five guys low. They protect the danger areas in front of their net, and they block a lot of shots." Up front, the Predators were given a boost when they acquired top line center Ryan Johansen from Columbus for Seth Jones on Jan. 6. Mike Ribeiro, Mike Fisher and Paul Gaustad give them good strength at center. On the wings, budding star Filip Forsberg and James Neal each eclipsed 30 goals. Johansen posted six points (1g, 5a) in four games against the Sharks this season, including two games while he was still with Columbus. Despite the challenges Nashville presents, DeBoer emphasized that “90 percent” of the Sharks’ preparation for the series is about their own game, which was solid and workmanlike against the Kings. He senses an antsy Sharks group.